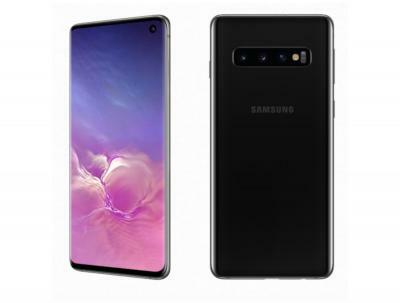 DisplayMate posted an extensive review of the new Samsung Galaxy S10 display - the 6.1" 3040x1440 (550 PPI) flexible AMOLED. SDC's AMOLEDs are excellent displays - and it is not a surprise that DisplateMate found this newest AMOLED to be the best mobile display it ever tested. DisplayMate says that the new GS10 display outperforms SDC's previous AMOLED models used in the iPhone XS and the Galaxy S9 and Note 9. This year, Samsung concentrated on increasing the picture quality and color accuracy by implementing precision factory display calibration. The Galaxy S10 is the most color-accurate display that DisplayMate have ever tested. The GS10 display is also 17% brighter than the GS9 in high ambient light - reaching up to 1,215 nits. The GS10 matched or sets over a dozen more display performance record - inching the best ever absolute color accuracy (0.4 JNCD), the best peak luminance, color accuracy and intensity scales, the smallest shifts in brightness and color with viewing angles and the more.